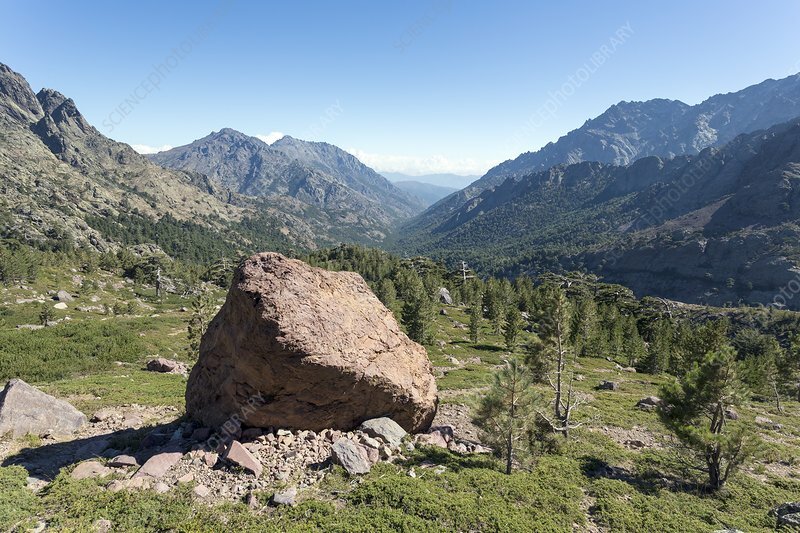 This erratic in the Asco valley of north-central Corsica was deposited towards the end of the last ice age by a glacier on it's terminal moraine. The reddish colour is caused by the weathering of the granite rock. The trees in the background are Corsica pines (Pinus nigra var. Corsicana).